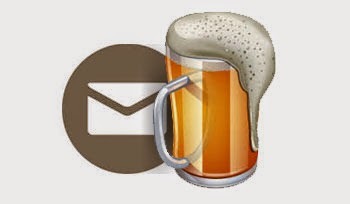 Beer Apostle: Subscribe to the Beer Apostle Newsletter! Subscribe to the Beer Apostle Newsletter! By subscribing to the Beer Apostle newsletter, you'll have instant access to all of my in-depth beer reviews, news, and giveaways! All you have to do is enter your email below. It's simple and free! And most importantly, you don't have to worry about receiving any spam. There's a lot happening in Jacksonville, and you don't want to miss out on any of the fun! I frequently give away tickets and VIP access to all the major beer events (Jacksonville Craft & Import Beer Festival, Jaxtoberfest, Putt 'N' Crawl, and more!). Sign up below!